Offer Details: Groups of 6 or more should call ahead and make a reservation over the phone. 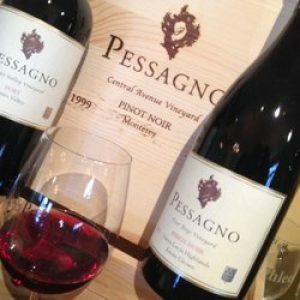 Pessagno Winery fulfills a twenty-year dream to produce limited quantities of exclusive luxury wines from prestigious single vineyards throughout Monterey and San Benito Counties. The winery is known for creating wines of distinct character and elegance. It will forever prosper as one of California’s finest wine sources. essagno Winery brings to life a family’s 20-year dream of producing exclusive wines from prestigious vineyards throughout the Monterey and San Benito Counties. Winemaker Stephan Pessagno left behind a legacy of extravagance for all in the industry to enjoy. His deep rooted passion and devotion elevated the Pessagno name to what it is today.